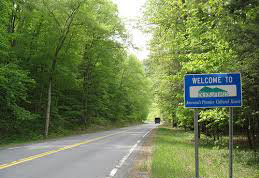 The Berkshires in Southwestern Massachusettes has, for more than 150 years, inspired writers and artists, who took up residence here because land was cheap and the vistas were exquisite According to Carole Owens, author of The “Berkshire Cottages”—a survey of the palatial summer retreats constructed by millionaires in the post-Civil War Gilded Age—the influx of literary and artistic luminaries “gave the Berkshires a panache that attracted wealthy New Yorkers and Bostonians looking for more than just sylvan beauty.” The Berkshires became then “Inland Newport”. On to our accommodations in Lee, MA for the night: dinner and then to the Unicorn Theatre in Stockbridge for a terrific performance of Fiorello. The Berkshire Theatre Group (BTG) has 3 theaters: the Unicorn and Fitzpatrick in Stockbridge and the Colonial Theatre and Garage in Pittsfield. BTG was created in 2010 by the merger of two of Berkshire County’s oldest cultural organizations, Berkshire Theatre Festival founded in 1928 in Stockbridge and The Colonial Theatre build in 1903 in Pittsfield. 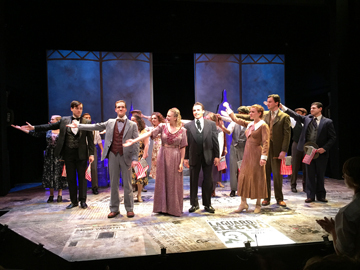 With minimal sets, great acting, period costumes and strong voices the cast gave us an outstanding show about Fiorello LaGuardia and his rise as a politician. I had seen Fiorello when it first opened in the late 1950’s on Broadway: I loved it then and totally loved it now — amazed at how much of the music I remembered and could, very quietly, sing along. We met up and chatted with some of the cast in the parking lot— mostly from New York and seemed to be in their early 20’s with potential for fine careers in the theater.